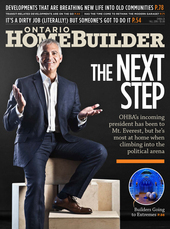 If Neil Rodgers is the Ontario Home Builders’ Association’s next great presidential hope, they seem to have picked the right man. “Hope is my middle name,” says Rodgers. Seriously. It’s an idyllic summer afternoon and Tribute Communities’ Executive V.P. of Land Acquisitions is in one of his happy places, the patio of Thornhill Golf and Country Club, where he has been a member for eight years. But then it’s hard to find a sporting venue where the fit-as-a-fiddle 53-year-old isn’t happy, whether he’s cycling 200-300 kilometres a week or treading on the hallowed ground of Green Bay’s Lambeau Field, home to Rodgers’ beloved Packers. Wife Diane, whom Rodgers credits for providing him the opportunity and freedom to explore his athletic pursuits, not to mention the odd golf and football guys trips—has a ‘play hard’ side to her as well. For her 50th birthday, she decided the couple should hike Peru’s Inca Trail over four days and see Machu Picchu. “Diane is not a tremendously competitive person, but I am,” Rodgers concedes. “We’re Yin and Yang, and it’s a good partnership. I’m A-type and she’s the balance. And I thought, ‘What could possibly beat Machu Picchu?’ And I said, ‘I’m going to do Everest Base Camp.’ And she said, ‘Can I do it?’ And I said, ‘Yes you can. We’ll do it together.’ And so the following year we went to Everest. Geography is also what initially connected the couple. “We met in university,” Rodgers notes. “She was a year ahead of me. We both took Urban and Regional Planning at the University Waterloo and met as summer students at the Ministry of Municipal Affairs and Housing—and she’s still there. 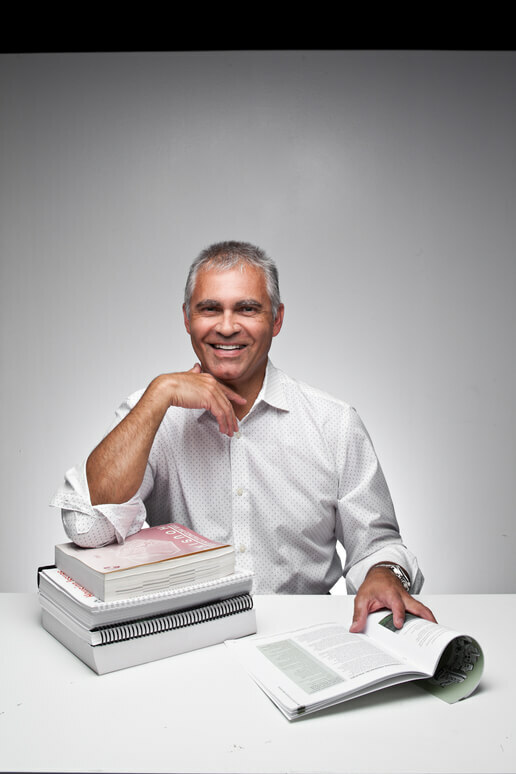 In 1989, I joined the Urban Development Institute/Ontario. That created some conflicts, since she was a planner dealing with policy-related land-use issues. To avoid conflicts, she gravitated out of what I would call the ‘front-line’ planning stuff to avoid the conflicts. She has made career and family-related sacrifices for our children and because of me. She’s probably one of the most selfless people I’ve ever known,” Rodgers says. But it’s the land underfoot that has occupied most of Rodgers’ attention over the past 30+ years since his first industry job, at age 21, working on the review of the Parkway Belt West Plan for the Ministry of Municipal Affairs and Housing, as president of the Urban Development Institute/Ontario (see sidebar), as a board member for both Habitat for Humanity Durham and the Municipal Property Assessment Corporation, and to his current position overseeing land acquisitions for Tribute. That training and experience should serve him well for what is to come. How comfortable will Rodgers be in that realm? “He has been in the political arena so long and is so comfortable in it, that I am sure he does not think of it as an ‘arena’ at all,” says Moore. “He can move through that milieu like he was sitting on the patio at home. He’s already known and respected by the stakeholders he’ll be dealing with, so it’s always like a continuing conversation that gets temporarily interrupted. That is such an advantage—that there’s no learning curve and that he just gets down to business. And that is one of Neil’s strengths: direct, clear, factual. And he listens too, which is something all parties appreciate. In addressing OHBA member concerns, Rodgers expects to be hammering on some of the usual political nails once he takes the presidential reins at the association’s Annual Conference later this month in Collingwood. “We’re going to have to finish up this Growth Plan/Greenbelt Review,” he says. “We will continue to tell the Province that it is a cost issue in terms of how we buy land, labour and materials, and that we have to deliver that product to the customer affordably. “For renovators, there’s the continuing underground economy issue,” Rodgers says. “Much more has to be done by government. By fixing the system and levelling the playing field, government will help our industry and Ontario taxpayers, because there are hundreds of millions of dollars that are being unaccounted for and not collected.